I thank all the people who saw and liked my earlier post on Orange Chiffon Cake. Continuing my celebration of this fall winter season with baking seasonal fruits, I have now decided to make some Quick Bread. The reason why I am saying Quick Bread is because making this bread would not require yeast and hence does not need dough resting time nor will it require kneading and proofing the dough. As its name suggests, it is really 'quick' and being an Arien (born in April), I clearly do not have the patience. I want my things to happen really quick. With apples, bananas, strawberries in my refrigerator, it was really difficult to decide on which bread to make first. Then I see my bananas which I bought fresh and kept aside for their skin to turn brown and thin. Its now the perfect time to make a bread out of it. 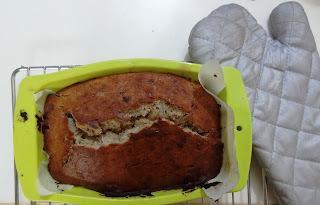 So its Banana Bread today. Hey, don't panic! I am not making bread out of stale bananas. In fact, I waited for these bananas to turn to ripen so that its just perfect for making the bread. Bananas with these dark patches are more sweet and more healthy. The more darker the patches, higher will be its immunity enhancement quality. Hence, the riper the banana the better the anti-cancer quality. However, diabetic patients should not eat these bananas as the glucose content is pretty high. 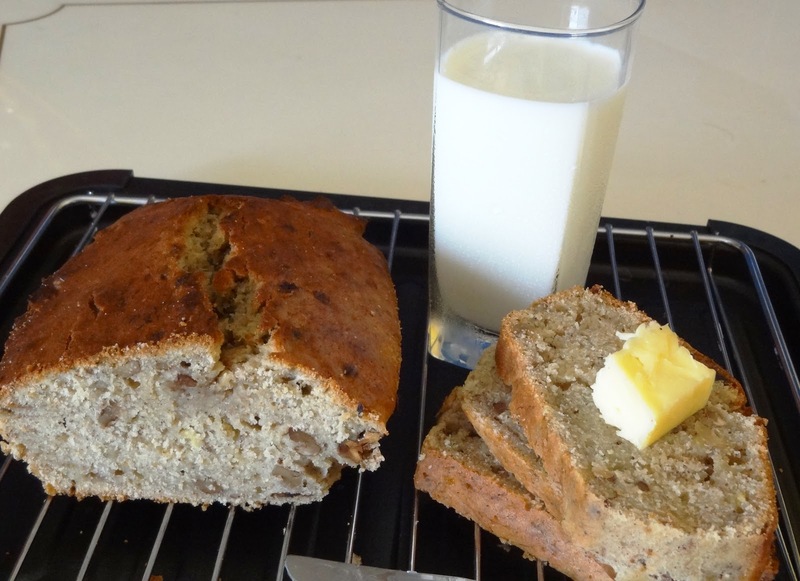 Without wasting any more time, lets get straight to making the delicious, soft and moist Banana Bread. In a large bowl, add all purpose flour, sugar, cinnamon, baking powder, baking soda, walnuts and mix together until combined. 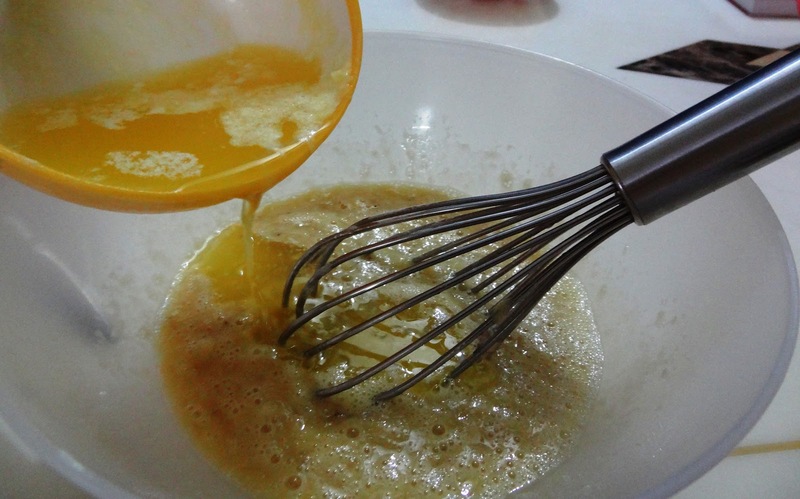 In another bowl, whisk the eggs lightly. 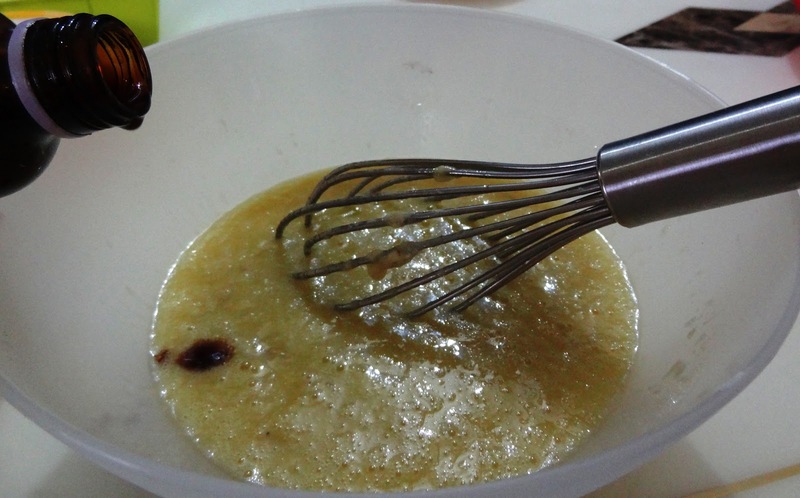 Add mashed bananas, melted and cooled butter and vanilla extract and whisk it until combined. 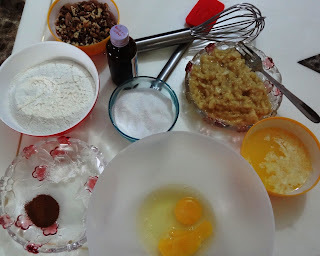 Pour the wet ingredients over dry ingredients and fold with the help of a rubber spatula just until the flour mixture is combined in the wet ingredients. DO NOT OVER MIX. Pour the batter in the pre-lined loaf pan and bake it for 55-60 minutes until the outer crust is golden brown and a tooth pick inserted in the center comes out clean. Place on a wire rack to cool completely before taking out from the pan. Serve hot or at room temperature. Store in an air tight compartment. Now you know what to do with these dark patchy bananas instead of throwing them in the bin. Hope you would have also enjoyed making it as much as I did!